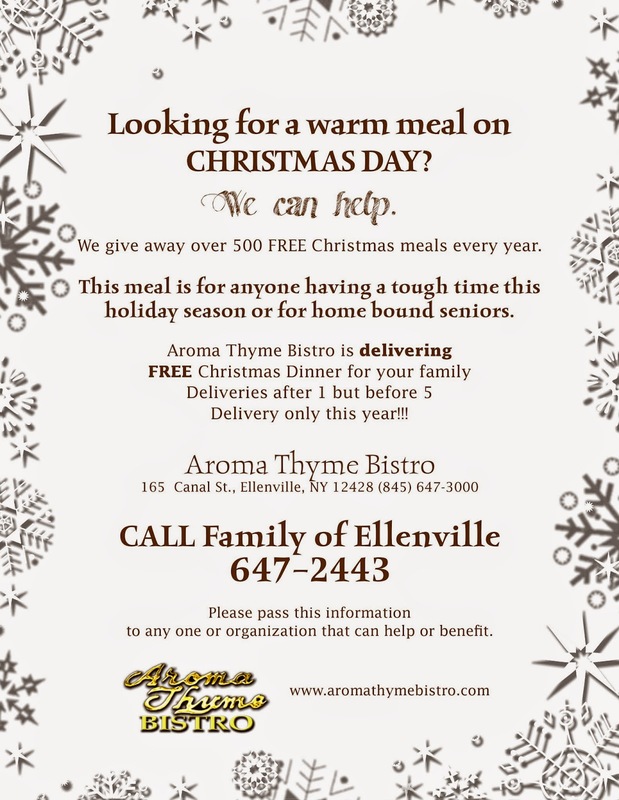 Details: Aroma Thyme delivers over 500 meals to families 30 minutes from Ellenville. Aroma Thyme is looking for you to spread the word about the soup kitchen. They want to fed as many people as possible. They are also need volunteers on Christmas Day and for a couple of weeks leading up to Christmas Day. Baked goods are also a huge help as well as monetary contributions. Please call Jamie at (845) 647-3000 for more details on volunteers and to receive a free meal call Family of Ellenville at (845) 647-2443.